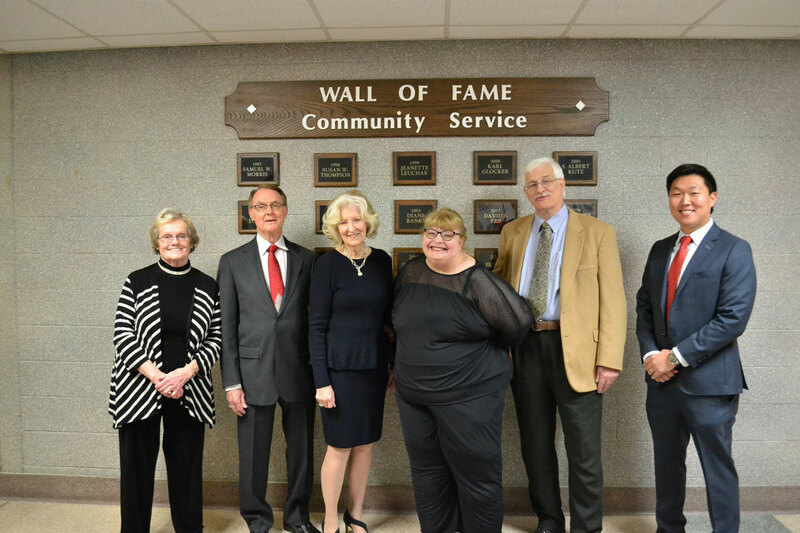 The Owen J. Roberts Community Service Award is presented to OJR residents who enhance the quality of life by preserving, promoting and carrying out positive and quantifiable traditional values and traits. The 2017 Award is being presented to Holly and Ron Miller who are the parents of one son, in heaven. Ian Joshua Miller was born in August 1997. Ian was 12 when he died in a tragic sledding accident during a Boy Scout skiing/snowboarding weekend. Ian left a message in his boots that would help them persevere and make a difference in so many lives. The message was a Bible verse, James 1:2-4. Holly and Ron are Co-Founders of ‘In Ian’s Boots, Inc.’, a non-profit organization that provides shoes and boots to those in need. They have taken a tragic event in their lives, the loss of their only child, and found a way to turn that dark day into an amazing bright spot for the OJR community and beyond. To date, they have donated shoes to 3242 individuals in the tri-county area and over 150,000 pairs of shoes to 32 countries around the globe! According to a volunteer at In Ian’s Boots, Holly and Ron’s faith and trust in God inspire not only me, but anyone else that has the chance to volunteer at In Ian’s Boots. Their message transcends across every race, age and religion and reminds everyone that comes through the door that one person CAN make a difference. In Ian’s Boots also provides our community a chance to give back – in 2016, 83 community members volunteered 2445 hours. There is a job for everyone in the Shoe Box. Our OJR youth are exposed to reality and leave feeling blessed for what they have and often want to find other ways to help and our elderly are excited to still be able to give back to their community. In Ian’s Boots also gives volunteers a chance to help after catastrophic events. We’ve all seen the recent news regarding the hurricane in Puerto Rico and many of us have felt the desire to physically help but can’t find a way to do so. In Ian’s Boots gives our community volunteers that chance to help as shoes from OJR are already on the ground in Puerto Rico!